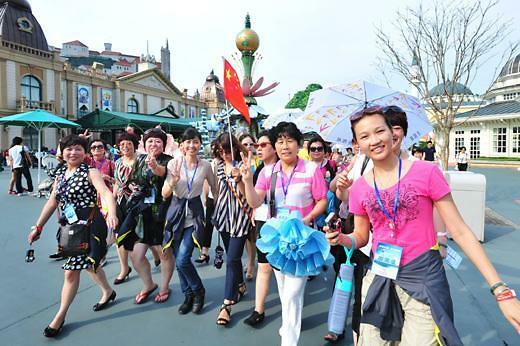 September 27 marks World Tourism Day, and Chinese tourism is booming. The country's domestic tourism industry experienced two-digit growth during the first six months of 2016. September 27 marks World Tourism Day, and Chinese tourism is booming. Chinese travellers logged more than 2.2 billion domestic trips, while total revenue hit 2.25 trillion yuan, up more than 12 percent. Around 120 million Chinese travelled overseas last year. Put together, the total purchasing power of Chinese tourists is the largest in the world. In 2015, the average Chinese tourist spent close to 6000 yuan on products while overseas. To put that in perspective, Chinese travellers accounted for about one-fourth of all duty free sales at London's Heathrow Airport, even though they only made up one percent of the passenger population. While Chinese travellers can be spotted all over the world, their top three favorite overseas destinations are in Asia. They are Seoul, Tokyo and Thailand's Phuket Island.